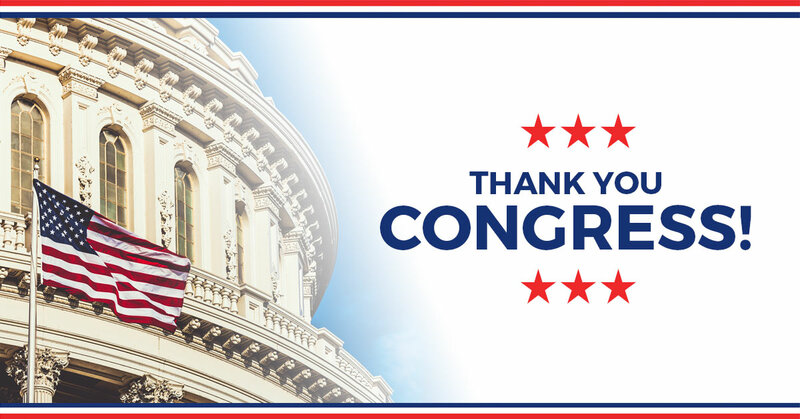 On behalf of National Taxpayers Union’s (NTU’s) thousands of supporters across America, I commend you for your prompt consideration of the Administration’s four nominees to the Federal Trade Commission (FTC). Although NTU rarely provides views on specific nominations and appointments, with the possible exception of the Internal Revenue Service no other federal agency has as broad a regulatory mandate, and or as strong a set of enforcement powers, as FTC. It is therefore our hope that the following comments and recommendations will be relevant to all the nominees currently before the Committee. The actions of FTC and its leadership are of interest not only to consumers, but also to taxpayers. Beyond the obvious concerns over its annual budget, the decisions this entity makes regarding competition policy and consumer choice can have a dramatic impact on the economy and innovation. Such innovation can improve the lives of consumers, while at the same time improving the efficiency of government and its bottom line. As a 2015 NTU Policy Paper noted, novel applications of data and other technologies in the private sector have led to more cost-effective practices in the public sector, among them cloud-based data storage, online permitting processes, better traffic system management, and improved energy efficiency of government facilities. In our experience, FTC leadership in previous administrations has implemented ambiguous solutions in search of problems. Therefore it is vital that FTC nominees focus on the enforcement of existing laws to protect consumers, continue a “do no harm” approach for the economy, and seek reforms that will clarify as well as limit FTC’s mission. NTU urges you to frame your own questions to the nominees around the following areas of concern. 1) Mission Focus on Protecting Consumers. FTC management has too often strayed from its function of policing consumer complaints about fraud and ID theft – which, according to Consumer Sentinel Network annual reports, remain the primary concerns of most Americans. Online privacy issues, often wielded as a “precautionary principle” against allowing companies to offer new services, are actually a much lower priority among consumers. Questions for Nominees: In what areas of consumer protection would you direct or redirect FTC investigative and enforcement resources? To what extent do you believe the “precautionary principle” is applicable to any area of consumer protection? 2) Adherence to the Consumer Welfare Standard in Antitrust. To the degree that FTC should be involved in federal antitrust policy, it is vital that all nominees respect the simple principle that any merger or other corporate action under review must be analyzed solely by the prospect of consumer benefit or harm. When it comes to government approval, the burden of proof should fall upon merger opponents, not the businesses in question. Substituting exotic legal theories, such as requiring merger proponents to prove a positive impact on competition, would be a license for ideologically motivated mischief, rather than economically anchored analysis. Question for Nominees: Do you believe the consumer welfare standard should remain the preeminent guidance for antitrust matters? [A] proposal should not become a rule until systematic evidence has been collected to test its factual premises. Anecdotes, the Commission’s own expertise, and the testimony of experts rarely, if ever, provide the necessary confirmation. Such evidence may be consistent with the theory, but cannot test it. And an untested theory should not be imposed on society at large. Others since Muris, among them former Commissioner Joshua Wright, have continued to insist on higher-quality evidence of consumer harms (or benefits), rather than hypothetical speculation to guide FTC’s actions. Every subsequent nominee to the agency should be able to delineate how, specifically, they would embrace cost-benefit analysis into their decision-making. No other practical exercise can have a greater salutary impact on the quality of FTC’s work going forward. Questions for Nominees: In what specific ways would you incorporate cost-benefit analysis in your own decision-making processes? In what specific ways should FTC do so agency-wide? 4) Recognition that Excessive Government Regulation Can Impede Innovation. It is difficult to quantify that which is unseen, or benefits that never materialize because of the “precautionary principle” attitude toward regulation that some FTC officials have embraced in the past. Yet, pro-taxpayer nominees to the agency can and should have a respect for the fact that these heavy-handed policies do indeed have costs for consumers, taxpayers, and the economy. People are denied improvements to their financial well-being, businesses do not fully realize potential productivity improvements, and governments cannot take advantage of cost-saving tools that could have been tempered by experience in the private sector. These ultimately translate into an underperforming economy and a less vibrant society. As an example, this week FTC recognized this fact when staff from several of the agency’s divisions commented on legislation in Washington State undermining the federal contact lens rule, which has heretofore provided customers with more purchasing options for corrective eyewear. The staff wrote that “the Bill, if adopted, may reduce competition, access, and consumer choice in eye care services, and might also raise costs for consumers.” We would add that Washington State’s bill could also have a “chilling effect” on the development of other telemedicine technologies that have the potential to save taxpayer dollars in state health care programs. To NTU, this type of outreach from the FTC to public officials on threats to pro-taxpayer policies is critical. Questions for Nominees: What specific steps would you advocate as a Commissioner in order to improve FTC’s methods for considering the impact of its own actions as well as those of other agencies on cost-saving innovations? What role do you envision for FTC’s communications with other governments on matters such as legislation that endangers pro-taxpayer, pro-consumer policies? 5) Support for Administrative Reforms and Legislation. In a robust but thoughtful response to a Presidential Directive aimed at rooting out extraneous regulations and bureaucratic procedures, Acting Chair Ohlhausen took half a dozen major steps toward this end in early 2017, among them: clearing the enforcement bureaus’ dockets of older investigations, streamlining information demands on private-sector parties, and introducing economic expertise earlier in the investigative process. In response to Acting Chair Ohlhausen’s actions, Representative Bob Latta (R-OH), who chairs the House Digital Commerce and Consumer Protection Subcommittee, provided a timely reminder that in the previous Congress the Subcommittee recommended a legislative package that was in sync with several of Ohlhausen’s changes of direction. Of particular ongoing interest to NTU is the “Revealing Economic Conclusions for Suggestions Act (HR 5136), which would have more clearly codified cost-benefit analysis in FTC decision-making. FTC’s nominees should be able to articulate their stance on these and other important administrative and legislative developments. Questions for Nominees: Do you support some or all of Acting Chair Ohlhausen’s response to the Presidential Directive issued in 2017? What are your views on HR 5136? FTC nominees should be grounded in, and prepared to engage in, other vital matters facing the future of the agency, among them: how best to direct taxpayer-provided enforcement resources, how to set boundaries on FTC’s Section 5 authority, and whether to reassess controversial tools such as consent decrees and non-binding (but often coercive) “guidance” memoranda. All of these topics are appropriate for today’s hearing. NTU urges you to remember that as with any other government agency, its leaders must be able to weigh the limits of their power against their prerogatives, and understand that in many cases doing less can often constitute a greater public service rather than doing more. Since the late 1990s, NTU has been deeply involved in competition policy matters, providing the unique perspective of how taxpayers – not just consumers or competitors – are affected. Our array of research papers, comments to Congress, seminar proceedings, and other resources are at your service. Please feel free to call upon us now and in the future if our team may be of assistance to you. Thank you for your thoughtful consideration.